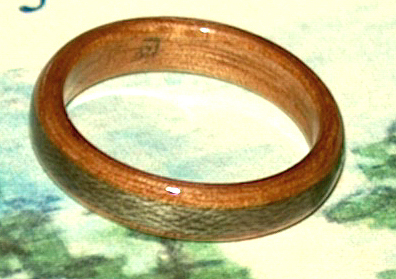 A lovely copper toned Eucalyptus Wood Ring with an inset greyed maple wood band. 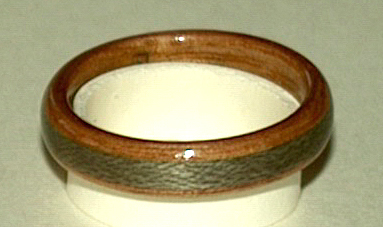 5 1/2 and 5mm wide. It has a gently rounded profile.